Pay TV company MultiChoice has been urged by the National Association of Telecommunications Subscribers of Nigeria (NATCOMS) to introduce pay-as-you-view billing. The president of NATCOMS, Deolu Ogunbanjo, gave the advice during an interview with the News Agency of Nigeria in Lagos. He said that despite the fact MTN began per-second billing in South Africa in 2003, it claimed it was impossible in Nigeria. Because of that, cases were filed by NATCOMS against MTN, prompting Globacom to opt for per-second billing. 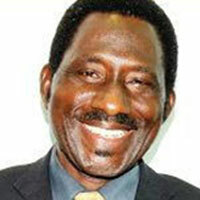 Likewise, Ogunbanjo felt it was unfortunate Multichoice said it was impossible to offer pay-as-you-view in the country and that the same services should be applicable to any satellite company that wants to operate in Nigeria. “The question is, ‘Is pay-as-you-view available in South Africa, where Multichoice originated?’ That we have to find out before we start to fight,” he said. Although MultiChoice had earlier stated it would not operate the pay-per-view tariff system in Nigeria despite demands for it, NATCOMS will only do what the Consumer Protection Council has requested from Multichoice concerning its services, he added.